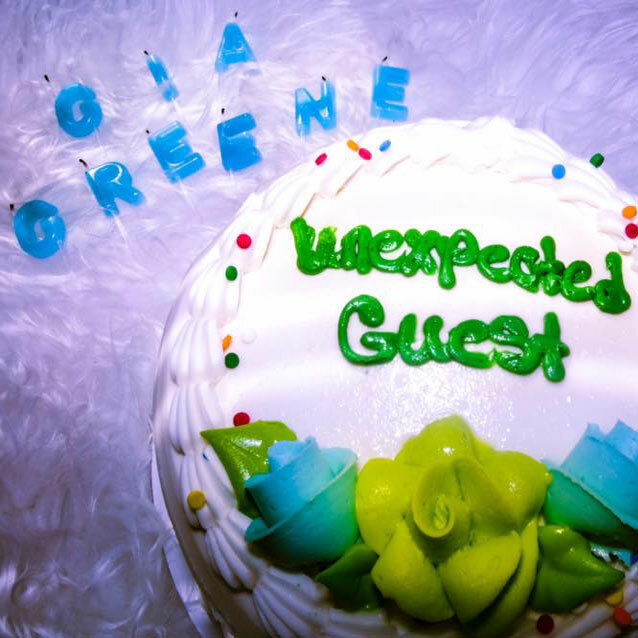 Unexpected Guest, the first full length album from Gia Greene is now available for digital download. Unexpected Guest is available on cassette from Boston based label, Super Wimpy Punch. Unexpected Guest, the full length album from Gia Greene is now available on cassette from Boston based label, Super Wimpy Punch. Gia Greene is a 25 year old vocalist and multi-instrumentalist from Boston, Massachusetts. Trained in both classical and jazz vocals, she graduated from Berklee College of Music and established herself with a debut EP in 2016. Gia’s debut full length album, Unexpected Guest lands March 31st, 2018 and showcases her unique song writing style in a powerful full band setting. Hazy guitar tones and dissonant melodies create a haunting atmosphere while Gia’s voice soars above as a ray of light in an otherwise dark soundscape. © 2018 Gia Greene. All Rights Reserved.